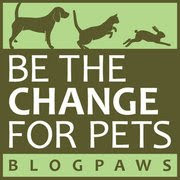 Check out what the BlogPaws Team has for us this week: A reference list of photography resources for bloggers and others! We also know it's National Walk Your Dog Week, so go have some fun with your best buddy. Are we leaving for our hike yet, Parental Unit? I'm ready to go! 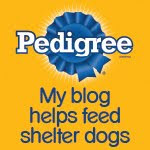 No on to the BlogPaws Wordless Wednesday Pet Blogger Hop to do some virtual walking! We hope you got to go, Bocci! Well, we hate to admit this, but our hike won't be until Friday... We do manage two walks a day, though! Looks like you are ready for a long walk, have fun! Very cool pack you have there, Bocci! Not sure Ruby would like that very much, but you seem ready to go. I hope that you had a great walk, Bocci!